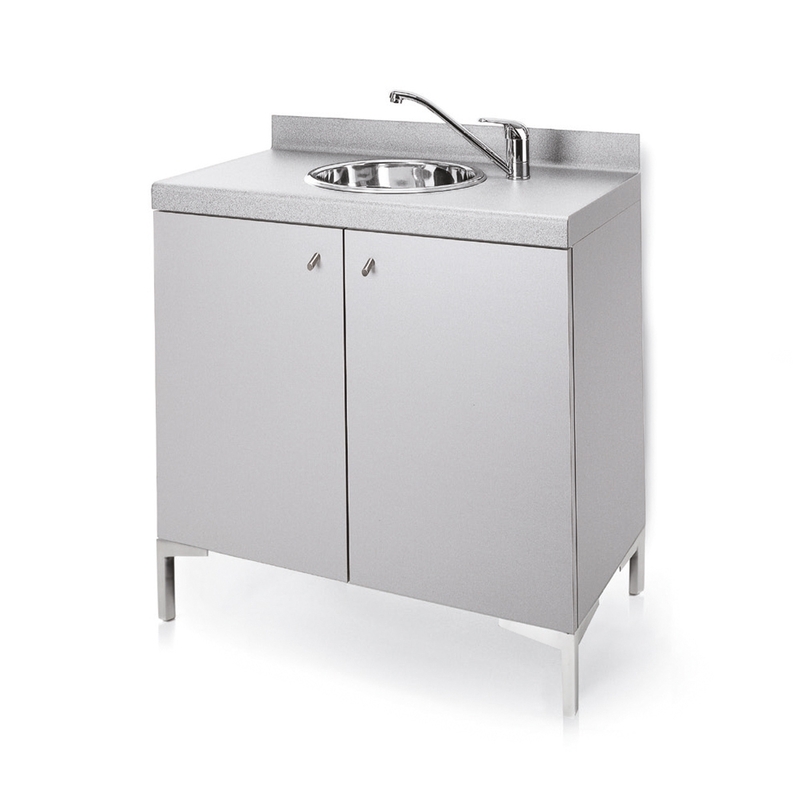 Shampoo area cabinet with two doors, wash-basin in steel inox and fixtures. Structure in prelaminated finish, with prelaminated or laminate front. Feet in polished aluminum. Made in Italy.